In Which Asian Countries Is It Easiest For Travelers To Get Mobile Data? 1. Thailand. Land in the airport, walk to a 7-11 type store in the airport, get a cheap SIM card, good for 7 days, and you’re good to go. The best experience I’ve had so far. I got the “Happy DTAC” card which did, in fact, make me happy. It was $299 baht, or about $9 USD. Yeah, cheap. For $599 you can get a card good for two weeks. 2. Singapore. A close second to Thailand. The card costs a little bit more, and for whatever reason it took me about 20 minutes to get it working right. That could be my fault. You get the cards at a kiosk in the airport. I got a Singtel card for about $50 SGD, or $37 USD. 3. Hong Kong. Also not too bad. You can get prepaid SIM cards at 7-11s in the airport and plenty of other places. 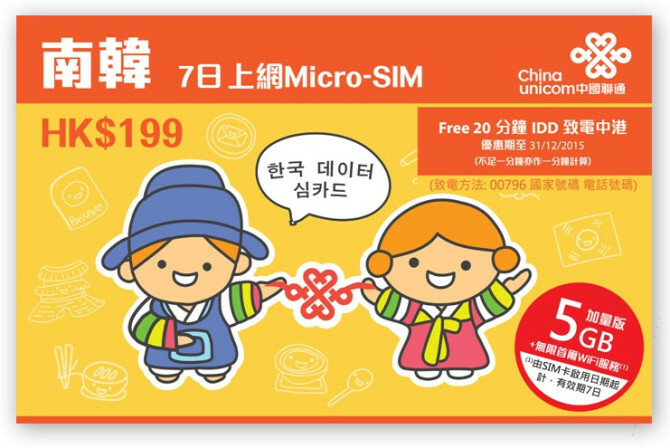 Here’s a full guide on buying a SIM in Hong Kong. You can get what you need for about $10 USD. 4. China. The actual data service is not great in China–you’re not going to get the speeds you can get anywhere else, but getting a card is not too bad. Go to any China Unicom store or almost any newspaper stand, point at your phone if they don’t speak your language, and you can figure it out. You can get a prepaid card for 66 RMB (about $10 USD). 5. Japan. The worst, so far. I recently went to Tokyo for three days and ended up without data the whole time. I was told I could rent a Wi-Fi hotspot in the airport, but I couldn’t find the place. Apparently you can pre-order a SIM card before you arrive, but I only found that out after I arrived, and it wouldn’t have been delivered in time for me when I found out. You can buy a data only SIM card in Hong Kong that works in Japan and Korea, but you can’t buy the same card in Japan, at least not easily. You can also buy SIM cards in Japan at a certain camera store (explained in the first link in this paragraph), but it was an hour round trip from where I was staying and I never had that much time to spare while there. So yes, if you know what you’re doing ahead of time, it’s not so bad, so I’m told. But if you just land in Tokyo and expect that “Hey, it’s easy to get a $10 SIM card everywhere else, it should be easy here too!” then you’re in for an unpleasant surprise. As for other Asian countries? I haven’t been to them yet. If you have bought SIM cards in other Asian countries please share your experience.